Today is the beginning of a new series of articles I plan on sharing with you. We'll call it WORD OF THE WEEK. Each Sunday, I will share a word, the word will be defined, then I will share a personal experience or something I have learned based on the word. The topics will vary, but my hope is that these articles will bring encouragement as we focus our attention on God's love for us, and strive to serve Him as we continue our earthly journeys. The word for this week is CHANGE. I have a feeling that 2016 is going to be a year full of change for me and my family. I'm not talking about the kind of change that jingles in your pockets. I'm talking about the kind that is an inevitable part of life. The kind that can be helpful or hurtful. The kind that everyone experiences many times throughout their lives. The kind that, in an instant, can make something in your life different than what it had been. Some people hate this kind of change, others love it. Some people despise it, others crave it. Some people resist it, others embrace it. Whatever the case, change is something we all must learn to deal with - because change will happen whether we like it or not. It will never go away. I have experienced many changes in my lifetime - changing schools, changing churches, changing jobs, getting married, buying a house, becoming a parent, losing a loved one, dealing with cancer, and the list goes on - but, the change I want to tell you about today is the most recent change for my family. At the beginning of December, my husband took a new job in a different county. He has been driving back and forth (50 minutes one way) until we can find a new house and sell our current one. While we haven't yet found a new home, our family knows the time will be coming soon for us to move away from a town we have grown comfortable in - a town we have lived in for over 7 years, a town where we have made forever friends - in order to move to a different town. 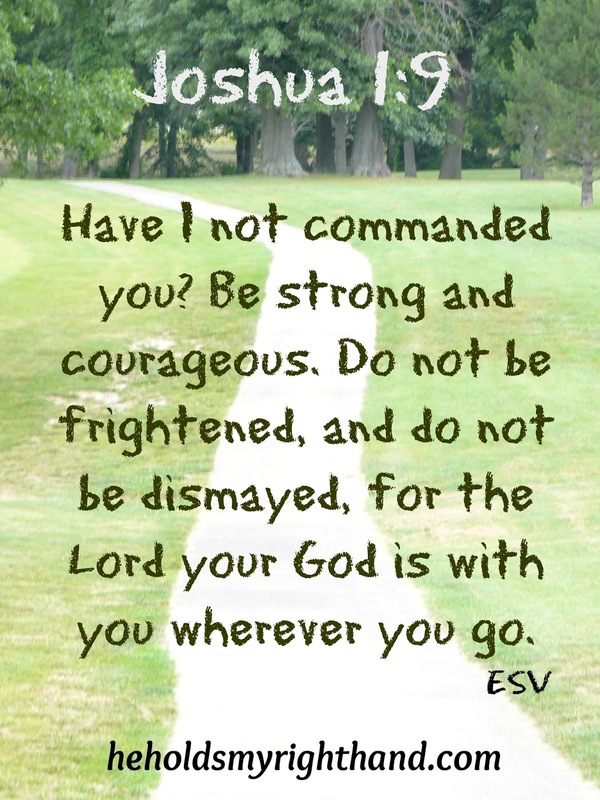 Moving is never easy, and we are not in love with the idea yet (especially the kids); but, the verse above says the Lord will be with us wherever we go. We are holding onto that promise, and are looking forward to seeing what new adventures lie ahead. Please join us in praying for God's blessings in this move, and for a smooth transition for us all. Every thing changes and it seems constant. Our choice is how we will deal with the changes we do not like. I found a lot of changes in my life since I retired. All were good for me to grow but some hurt while growing. I love it: FOREVER FRIENDS! You were the first to reach out to us. Bless you & TY for this post on CHANGE! 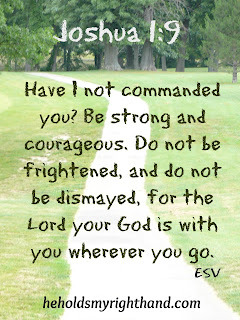 I know the Lord will be with you, too, wherever you go! Exciting times ahead!